A reading featuring the work of three graduate students, Laura Ballou, Lavelle Smith Hall and Jim Kourlas took place on Monday, April 27 in Gage 700. 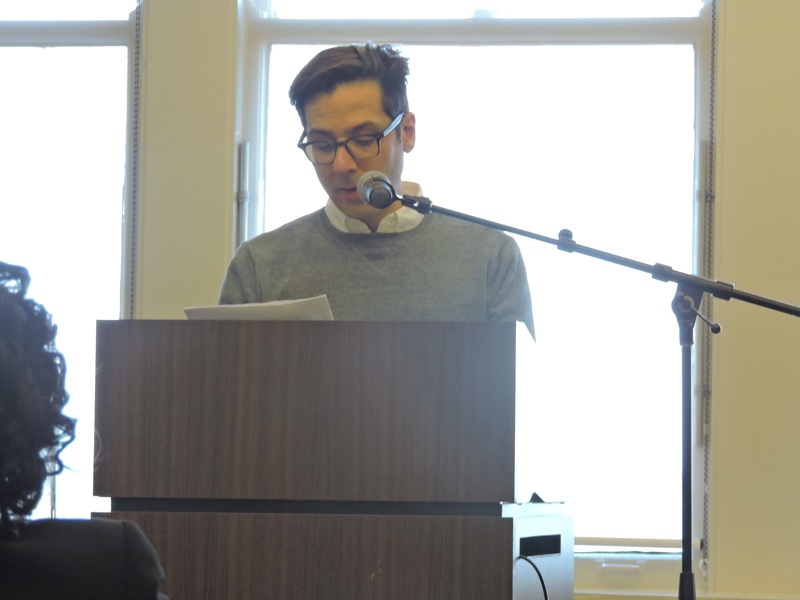 The reading, a part of the MFA in Creative Writing series of readings, was hosted by the MFA in Creative Writing program, the Oyez Review and the Department of Literature and Languages. Ballou, born in Naperville, has lived in many different places, including Argentina, Northampton, Mass., southern California., Cambridge, Mass. and here in Chicago. Ballou read from her thesis, titled “Either,” pronounced with a hard “E” sound instead of the normal soft “E” sound. The next graduate student that read their work was Hall. First, Hall told the audience a little about herself. The characters that Lavelle writes pop into her head fully formed, as she described to the audience one of her characters named Lucy, whose sister believes that she was found in a dumpster. “Lucy came to me in spurts,” Hall said. “Therefore, I wrote her story, 183 pages, in vignettes.” Hall shared parts of Lucy’s story, starting from the beginning and then gave snippets of the middle, but saved the end for when the book gets published. This particular reading concluded the MFA in Creative Writing Program reading series, which took place during the entirety of the spring semester.